The "Triemli Hospital" in Zurich, built in 2015, captivates with its bright and light glass façade. 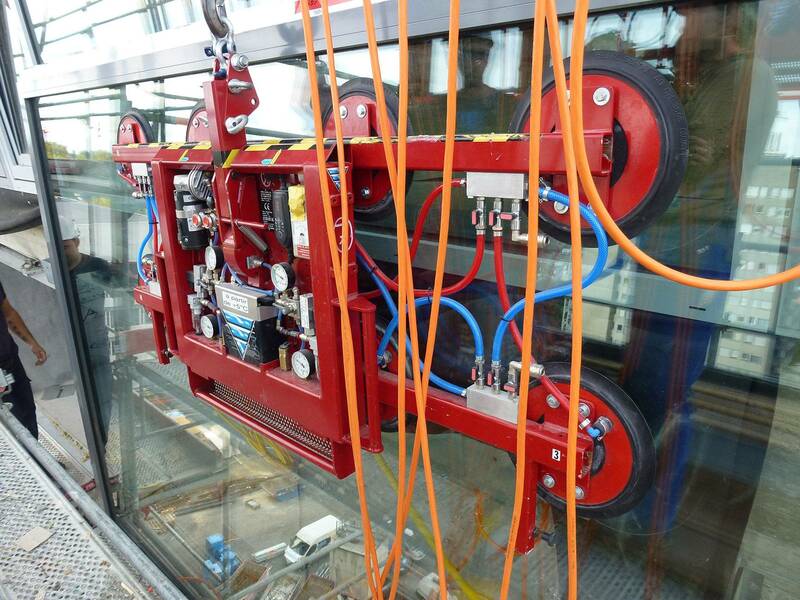 The 800 kg heavy windows could only be installed with the help of the flexible lightweight crane system eepos one. The Zurich Clinic for City and Canton offers space for 550 ward beds. 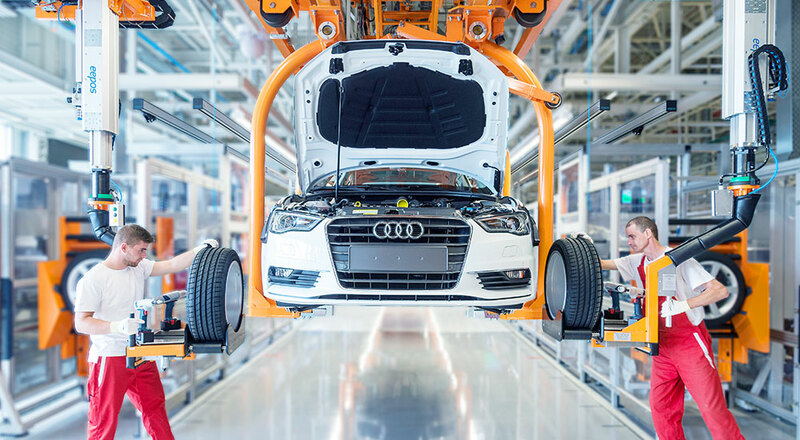 Both an eye-catcher and a challenge in terms of installation technology is its modern glass shell made of up to 800 kg heavy window elements. The floor-to-ceiling windows are not only difficult to transport, but their integration into the façade is a challenging task. 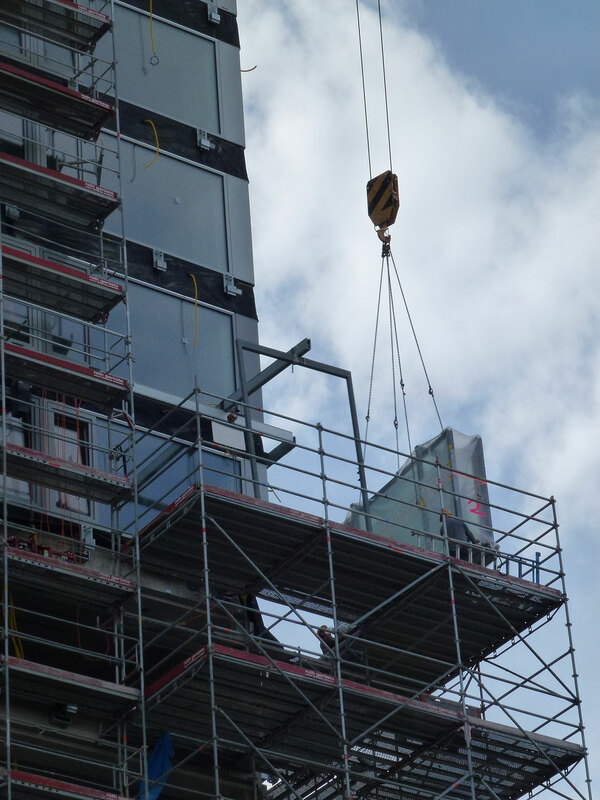 In the search for a system optimally suited to this special project, the façade construction company Hartmann + Co came across the modular aluminium system from eepos. 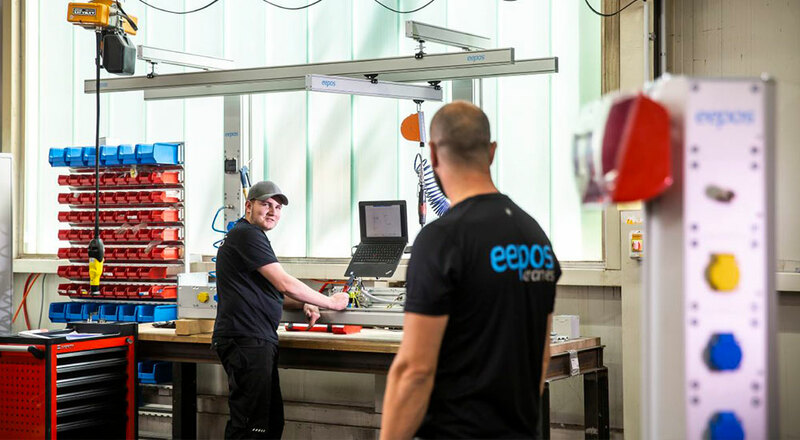 The eepos system was put through its paces on its own test stand and compared with other manufacturers. 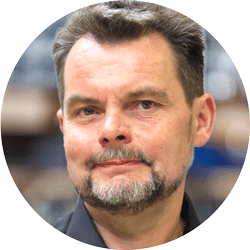 Bruno Stoll, Project Manager "Clinic Construction" at eepos sales partner Hold AG: "The facade constructor immediately saw the simplicity of the system and its practicality for his needs. 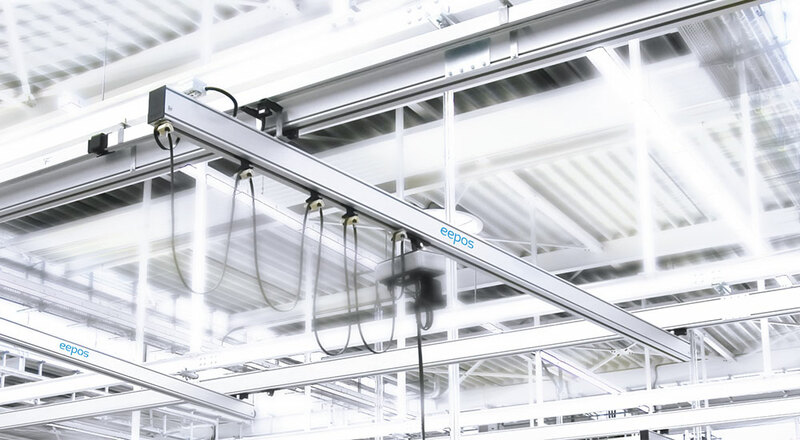 eepos rails are more universal in their design and, at ten kilograms per meter, much lighter than competitor systems. 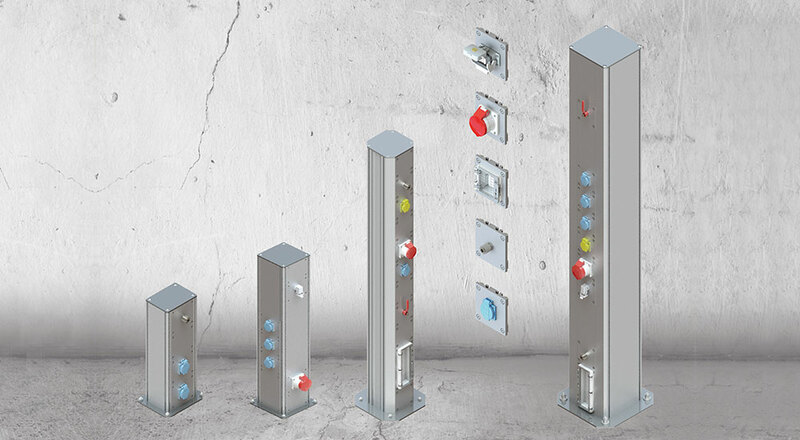 In addition, eepos transport systems are extremely smooth-running and easy to move with optimum load-bearing capacity. 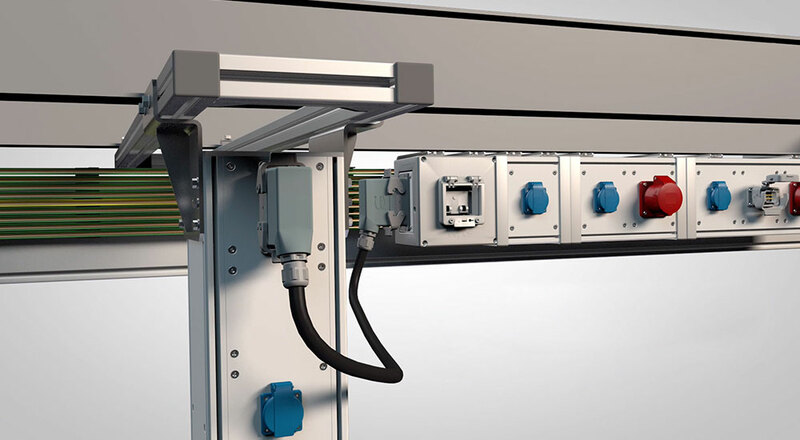 Bruno Stoll: "The eepos crane construction kit is ultimately the only system suitable for this specific requirement. 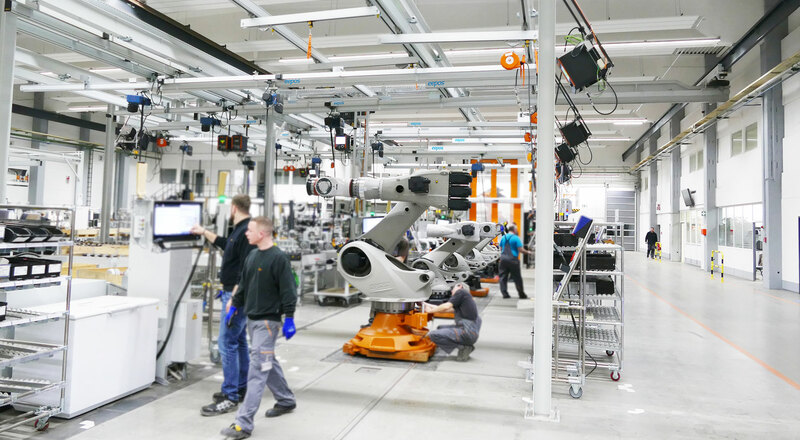 It alone can be configured to meet customer requirements because its individual components are not off-the-shelf." 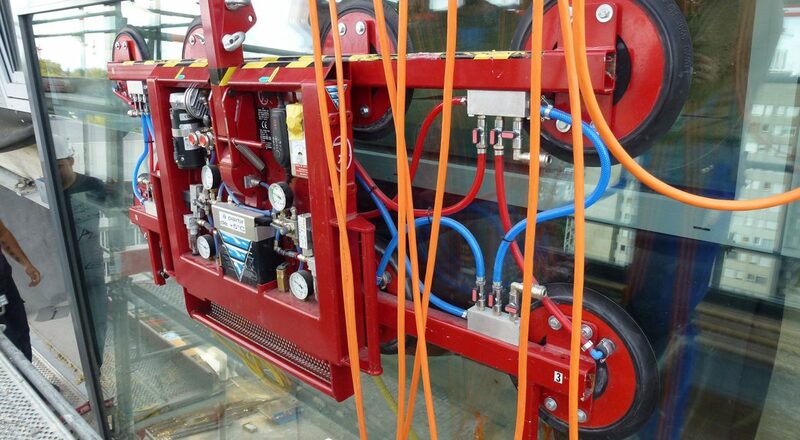 In spring 2012 the assembly of the window panels could be started. 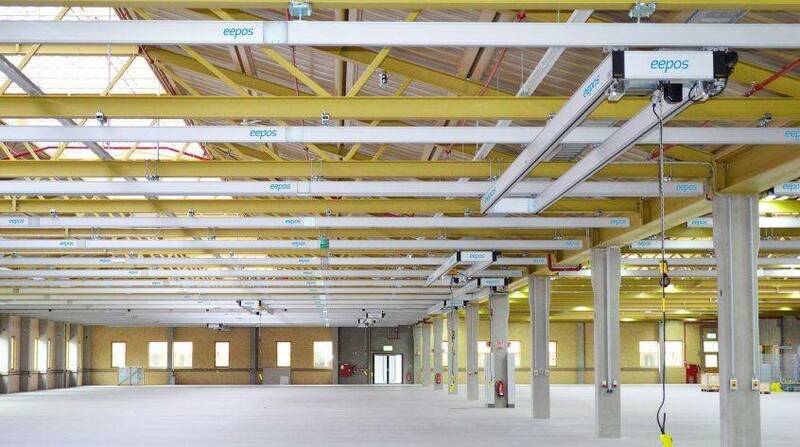 For each façade assembly phase, 150 metres of crane rails were fixed all around the building. With the help of the scaffolding, the crane rails were initially fixed to the façade all the way round above the top floor. From this position, three floors were fitted with room-high window panels. 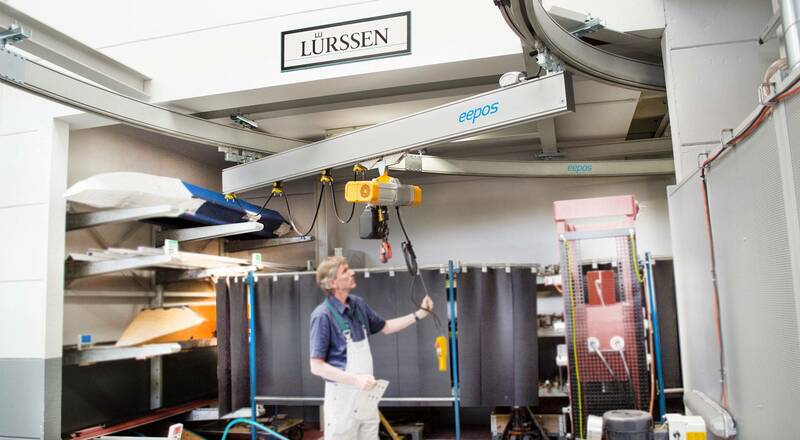 The panes were removed with the help of an eepos auxiliary crane and a battery-powered vacuum cup and transferred to the eepos assembly aid. The panes were pushed along the façade to the desired end position via a monorail system. 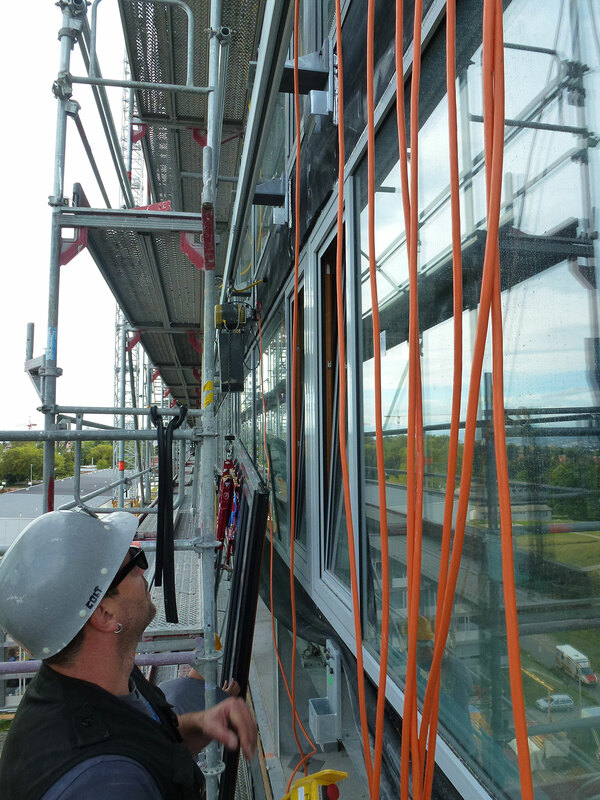 This required precision work to the nearest millimetre, as no two panes are the same. 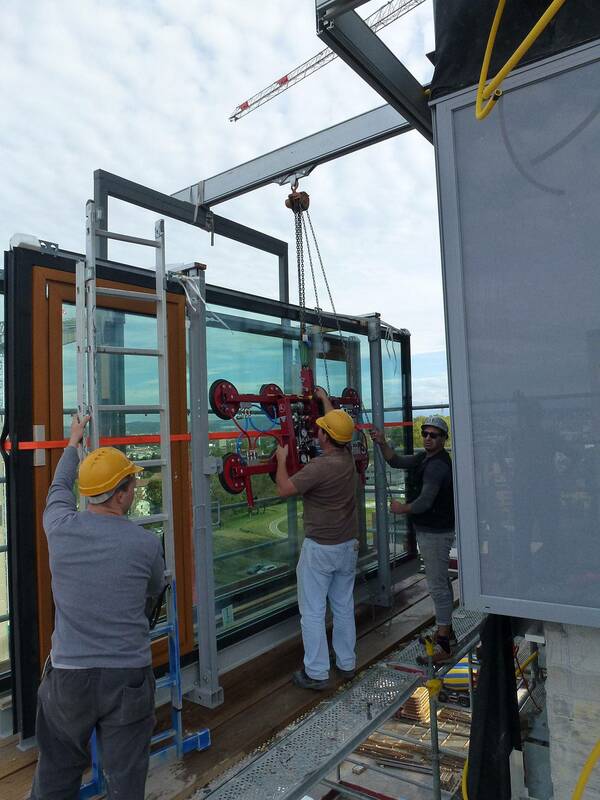 All the more important in this task was the "smooth running" factor of the crane systems even under load. 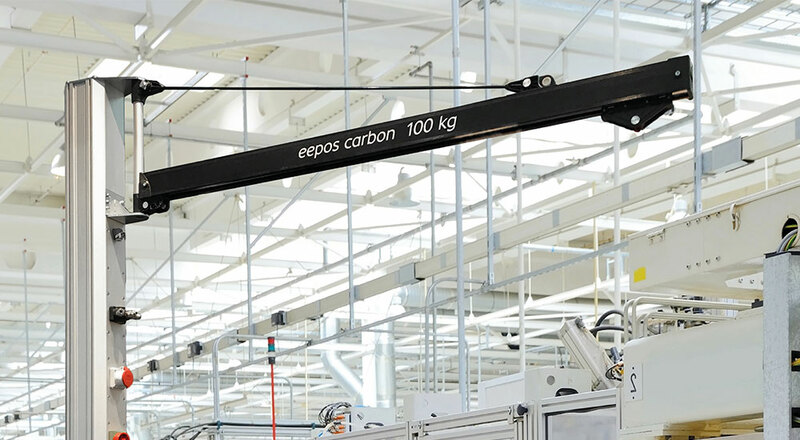 eepos light cranes are supplied with light, high-quality aluminium trolleys and can carry loads of up to 1,200 kg. 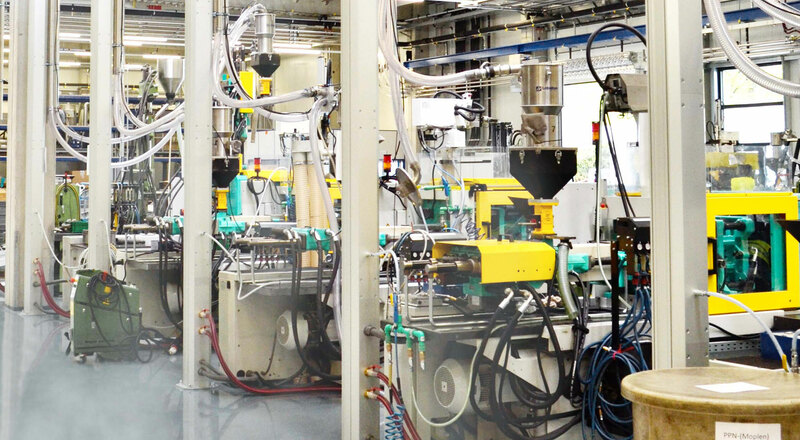 The special arrangement of the rollers on or in the trolleys ensures perfect smooth running at all times. Even with lateral forces, upward forces or diagonal pull, there is no tilting. 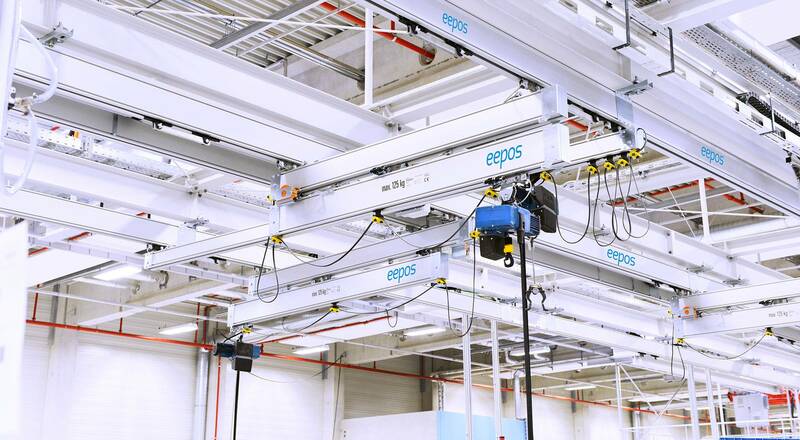 After every three floors, the entire eepos light crane system was dismantled and refitted at the new location. 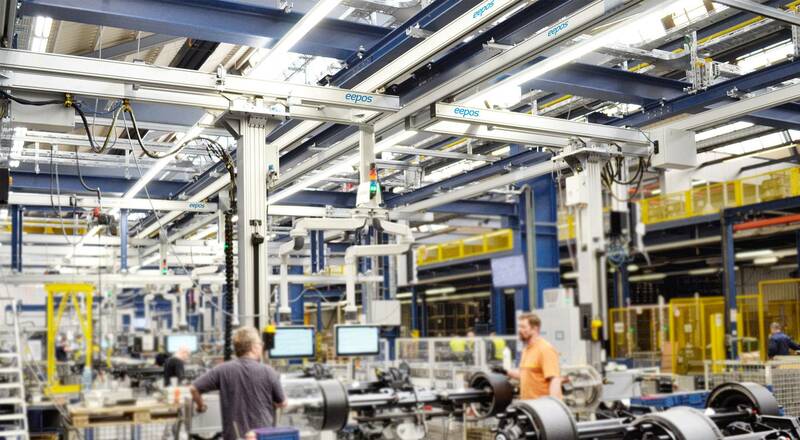 "The eepos system still looks like new due to the proper handling of the crane system by the facade crew," says project manager Stoll from Hold AG. 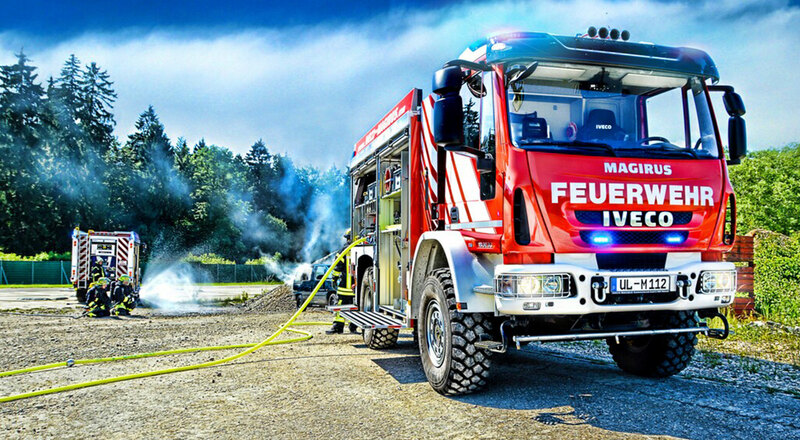 His conclusion: "The façade builder is satisfied - the eepos rails have proven to be indestructible".